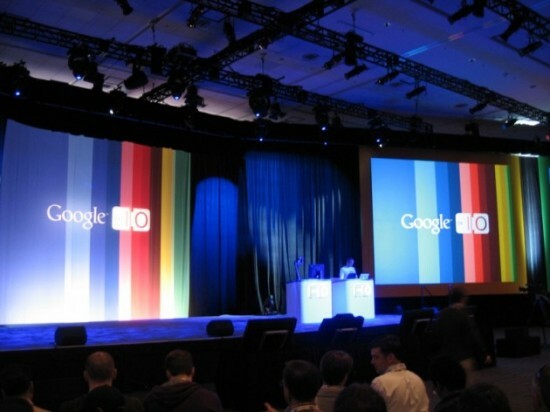 Google Officially Unveils Its Long Awaited Operating System: "Chrome OS is nothing but the web." This morning we posted the news of two leaked videos from Google Chrome’s YouTube channel that confirmed the long awaited arrival of Chrome OS and the Chrome Web Store. At today’s official launch in San Francisco, Google’s Head of Project Management unveiled updates for three of its leading endeavors- Chrome, Chrome Web Store and Chrome OS. Chrome, which launched two years ago represented a profound shift from simple web pages to a modern OS for web applications. With a focus on speed, simplicity and security, Chrome has grown 300% since January to a total of 120 million users, worldwide. And thanks to “Crankshaft” technology, Google is now 50 times faster than browsers were 2 years ago and 100 times faster than IE was in 2008. Chrome Web Store, which was announced about 6 months ago at Google I/O, features a gallery as its landing page. “It is meant for discovery,” Google says. The Web Store, “like a phone app store,” focuses on photos, music, games, news, including an app from the NYTimes and shopping, including apps from Amazon.com like WindowShop, which looks a lot like Window Shop for the iPad, shown below. Kindle for Chrome Web will launch next year. The Chrome Web Store launches today in the U.S. Read our full story on the Web Store here. Finally, the majority of today’s event focused on Chrome OS, which was announced a year ago at Google I/O as an open-sourced project. When you first get a brand new Chrome notebook, it takes less than a minute to set up. First, users will choose their Internet connectivity. Instant. Choose a profile image and in less than 60 seconds you’re in. With Google Chrome OS, users will be online instantly. “In fact the delaying factor is for the user to move their hands and type in the query on their keyboard.” Booting and resuming play on Google Chrome OS is instant. Google says, it’s so fast, it’s hard to capture on camera. Connectivity. What if you’re not connected to the Internet? Users can still continue to be productive in apps, for example, Google Docs. Changes are saved and synced as soon as connectivity is reach again. Want to have fun? A whole set of apps, particularly games on the Chrome web store will work offline. Want to read news? NYTimes’ apps work offline. But Google wants you to always be connected. Every Chrome notebook includes cellular (3G) and Wi-Fi connectivity. How did they do this? Google has partnered with Verizon. The plan? No contract. 100 MB free data every month for 2 years with purchase price. You can also just access a day pass and buy plans in data chunks. Security. Google Chrome OS security is built from the ground-up. Google sandboxes the browser and the OS, so if malware leaves the browser, it doesn’t get into the OS. Business. What is great about Chrome OS for businesses? “Safety, simplicity and productivity applications on Chrome Notebooks.” Citrix Receiver works with Chrome OS. Applications will include spreadsheets, SAP and other enterprise apps with search-centric interfaces. The Notebook. Computers get slow over time. But Google’s Notebooks actually get better over time because a new OS is automatically updated every 6 weeks. No hard drives, no spinning discs and a built in jail breaking mode make this Chrome notebook every geek’s dream machine. See additional details below. Think you may be an ideal candidate for the Chrome notebook? The current referential hardware devices are not for sale. Find out how to apply for the pilot program here. If you want a “real” one, you’ll have to wait until early 2011. Devices will ship from Samsung and Acer, and we’ll see input from Intel as well. Our best guess is that it will be the 2nd quarter of 2011, as Google made it very clear that there are still some parts of Chrome OS that still haven’t been ironed out. So that’s all you need to know. Now, get over and apply for the pilot program. You’re an enterprising geek, aren’t you? What are you waiting for? Have reservations? Let us know in the comments.